Today, I am privileged to introduce guest poster Jill Roper, my friend and mentor – remember how I got to see her on our Michigan trip!!?! Her role as “help meet” and wife has drastically changed during the past year and a half and I have hurt and prayed along with her family as her husband’s health has taken a terrible turn. Jill (of From the Heart of Jill) shares her real life example of what it truly means to care for and love your husband “in sickness and in health”. “LORD, I need your arms tightly wrapped around me”. That was my prayer when I looked over at my husband the other day. How did we ever get to this place? Nineteen months ago our lives were turned upside down. Hubby woke up with a terrible back ache and noticed later in the day a very odd rash going in a perfect line from his waist down to the bottom of his foot. Life has never been the same since. In my mind’s eye I can clearly see us both in the church saying our wedding vows. The future looked so bright and I happily said those words, “In sickness and in health” with the rest of the vows truly not knowing what that would mean 32 years later. I grieve now from the very depths of my soul. My life partner is slipping away and there is not a thing I can do about it. My husband has a very rare neurological disorder that has robbed him of who he was. He is on 15 different medicines daily. The disease causes him to jerk uncontrollably and his speech can be very difficult to understand during a severe bout which happens daily. It is very difficult for him to walk. My husband spent 22 years proudly serving his country. He then spent the next 10 years in full time ministry and as a marriage and family therapist. The man holds 3 Master’s degrees and yet most days he can’t remember what day it is. He helped foster over 30 special needs children and together we have raised seven children. I have two choices. I can give up and say it’s just too hard or…..I can allow God to put me through the fire again and share what I have learned with others. My Abba Father is teaching me once more to trust with my whole heart. You see, some years ago we lost our baby girl, Celeste at birth and then our son David died when he was just 13 months old. You come to a crossroads when death smacks you in the face. How do you deal with such loss? How do you get up the courage to breathe again? The following passage spoke to my heart all those years ago just like it speaks to me now. God allows bad things to happen to good people for His purposes. God is the ultimate comforter. When we have been comforted he wants us to turn around and comfort others. I chose JOY! I chose to daily walk with joy in my heart, knowing that God is truly in control. This trial does not escape His notice. I stand committed today just like I did 32 years ago to say with confidence, “For better or worse, for richer or poor, in sickness and in health till death do us part. Jill writes a daily devotional blog which I always find to be inspiring, comforting, challenging and refreshing. As a busy mom (can you relate? ), I have found it to be such a blessing to pop over to Jill’s site and find a few moments of spiritual enouragement. I highly encourage you to check out From the Heart of Jill and consider letting Jill be a daily source of spiritual refreshment for you too! What a beautiful, heart touching testimony. I know the loss of a child and I know what its like to raise a special needs child. None of that is easy. But to know that you will eventually lose your husband —words fail me. My heart and prayers go out for you. You are an inspiration and example to us, what marriage is about. Thank you for sharing your story. You have no idea how timely this post is for me. Thank you, Jill, for your encouragement. We are going through a tremendously difficult time with our 14 month old daughter. In fact, in a couple of hours we are taking our daughter to another specialist about having a bone marrow test done. So far, the doctors are stumped as to what’s going on with her. We are fervently praying for her healing, but above all, that God will be glorified. I don’t seem to have any words, so I don’t know why I’m leaving a comment. Thank you, Jill for the inspiration you’ve provided and the example you are setting. My husband and I will be praying. 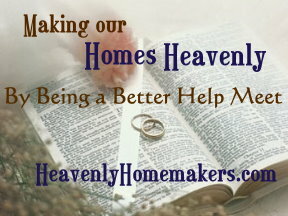 I’ve been praying for God to help me be the best caregiver to my husband that I can be. We are struggling with a low grade braintumor and hundreds of seizures a week. This post is so timely and relevant to me. Thank you so much for this beautiful post. OH hun… God doesn’t allow bad things to happen. God is not of evil. The Word of God tells us that ALL things work out for our God for those who love the Lord and are called according to His purpose. God is the ultimate healer.. he can heal… stand in faith that God can heal your husband. Don’t give up! I would like to encourage you to stay strong in the Lord, HE is our healer, by HIS stripes we are healed. Our God is in the miracle working business. Claim healing scriptures over your husband daily and don’t give up. You are strong in the Lord and the power of his might. I pray that God will fill your heart and your home with His peace during this difficult time. I love you sister, please be strong, and I’m praying for you and your family. Wow…I can’t even begin to understand the strength God has provided…only He could have done that! As a wife, it takes my breath away thinking of going through…as you put it…the fire like that. I don’t know how people who don’t know Christ ever manage to get out of bed…your testimony blessed me beyond words. I know this pain Jill, I meet and married my wonderful husband 6 years ago and shortly after we started dating he came down with internal shingles and we have been living with the debitataing pain and suffering that comes with it. We have made it this far and have two beautiful children and are hoping there will be a light at the end of this very dark tunnel. Thank so much for posting this today. It really hit home! Thank you! Thank you so very much, Jill. Watching my sweet sister at age 25 care for her paralyzed husband and 1 year old baby has been heartbreaking for me and one of the most inspirational things I have witnessed. God has given them all such strength in their marriage and she is more in love with him than ever before. You’re right, God does allow hardships. To say He only wants “good things” to happen only shows how superficially we know Him. Even Christ suffered the cross and our salvation came of it. Seeing the beauty pouring forth from His servants during such times is an incredible witness because that beauty can only be from God. I know those that suffer on earth will have such incredible joy in heaven. My brother-in-law could be in pain every day for the rest of his life, but he knows God is walking through it with Him and is in control of ever aspect involved with it. Bless you, Jill. What an inspiration you are! God is Good. He is the one trying to rescue us from the brokenness of this world. We are His children, the sheep of His pasture. How he longs to gather us like a hen gathers her chicks. He is not the one causing the suffering, he is the one comforting and strengthening us. Things happen because of our free will and the nature of the world, but this was not his intent. His intent is “Thy kingdom come, Thy will be done on earth as it is in heaven,” which means that His will is for us to have things as they would be in heaven. Would this exist in heaven? No. In this world we will have trouble, but He has overcome the world. God is NOT the one doing it. That is the biggest lesson you have to learn. We wrestle not against flesh and blood, but against principalities, powers, and rulers of this present darkness. God has given us power and tools to use against the enemy. And we are more than conquerors in Him. Jesus suffered FOR us, by His stripes we WERE healed. We have an inheritance that is NOW, not waiting for us later. (Ephesians 2:1-) We need to feed our mind with the promises of God. Just as an unhealthy body, run down and depleted, needs good food and supplements to gain strength to boost our system to health; so we need intense feeding of truth and hope. Return to the promises of God, we need to reiterate them, to boost our mind and our soul. God’s promises never fail. People say “I believe in miracles, but…” But nothing. God’s “but” is bigger than ours. Philippians 2:27-29 Indeed he was ill, and almost died. BUT GOD had mercy on him, and not on him only but also on me, to spare me sorrow upon sorrow. Therefore I am all the more eager to send him, so that when you see him again you may be glad and I may have less anxiety. Welcome him in the Lord with great joy, and honor men like him. Never Give up on God! I read this a few hours ago and I keep thinking about this post. What a beautiful example of standing in faith, of trusting in your heavenly father through bad and good. I cannot imagine losing two children and my husband as well, but I hope and pray that my faith in God would never waver. Thank you for a wonderful testimony! Jill, you are an encouragement. But more than that, you are living proof that when we are very weak, God is very strong. I bet people tell you that they could never do what you’re doing and keep the faith. A little over a year ago, we lost our 3 month old son. But I am learning that we can never know just how big and powerful the grace of God is, until we walk the road of pain. And His grace continues to surpass my expectations. This world is not our home. May we keep our eyes fixed on Jesus. He is worth it.